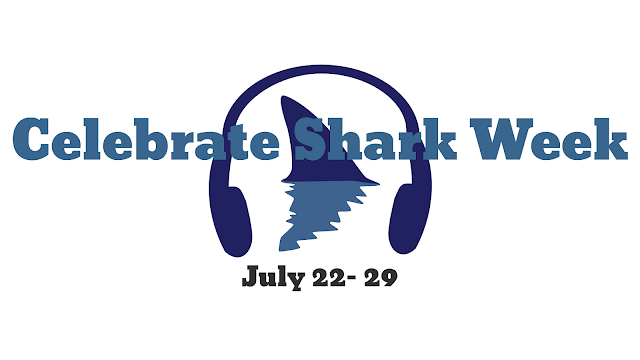 Home / Columns / Daily Update / Features / Shark Week / Sylvia Papineau / Top / SYLLY: Shark Week Day 2 -- Real Shark Week! Olympic skier and gold medal winner Lindsey Vonn and Dr. Edd Brooks search for oceanic white tip sharks. Rob Gronkowski of the New England Patriots and Dr. Neil Hammerschlagg take on tiger sharks. Aaron Rodgers of the Green Bay Packers teams up with Dr. Riley Elliott to find blue sharks. All 3 athletes are involved and learning along with us about their targeted species of shark and help in the tagging process. Tagging provides information about sharks that humans could never learn otherwise. Tracking sharks tells us where they go in the oceans and helps us try to protect those areas from over fishing and decimating the shark populations. This episode was excellent for shark facts. I was pleasantly surprised by the enthusiasm of the celebrity guests, they are using their presence in social media to rally their fans and followers to raise awareness about shark conservation and change the public perception of sharks. An estimated 100,000,000 sharks are slaughtered every year. Gentlemen and lady, I applaud your efforts! YES! I admit having the great white shark be my favorite shark is a cliche, but I can't help it. This was a "jawsome" episode! Do you Remember Deep Blue? The 20 foot long female great white shark filmed off Guadalupe Island, Mexico in 2013? If you saw the video you would remember. This is the team that found her. These men are looking for mega sharks again. On this voyage they got credit for the first manned expedition to the sea floor at Guadalupe Island and first underwater, uncaged tagging of a great white shark. They are trying to prove the deeper you go the bigger the sharks are. New pack behavior among great white sharks was documented and new colonies were discovered. This is what Shark Week is supposed to be! Two scientists in a submarine being bumped and pushed around by giant sharks! At a depth of 1000 feet below the surface in complete darkness, they are unable to solidly prove it, but they believed they found Deep Blue again! I don't know if it was her but it was just as big in my opinion. Two thumbs up and I can't wait to see what else they find. Fidel Castro shut off access to Cuba's marine habitats and research into the giant sharks swimming off its' shores for decades. Now two teams of researchers have permission to study the Cuban waters. This episode is "fintastic" for new shark knowledge and new gadgets like cameras that take 360 degree pictures and can actually measure the sharks. I loved that they were in a new place and took interest in every species they encountered, not just the sharks they were looking for. They were very informative about why they were there, why the sharks were there, and their theories about why every species living there was larger than average. In the south Tristan Guttridge and Melissa Marquez explore an area called The Queen's Garden looking for giant great hammerhead sharks. When Disney eventually gets around to making a live action Finding Nemo movie, this is where they need to film! It was eerily similar to the drop off and the trench. In the north Greg Skomal and Joe Romeiro search a place called El Monstruo's Corridor. Named for the famous picture of the 25 foot great white shark caught there. Great whites are a cold water species of shark, so finding them in the Caribbean is very unusual. During filming Melissa Marques was attacked by an unusually large American crocodile while diving with sharks. You read that right, she was surrounded by sharks at night and gets bit by a crocodile. She escaped with minor injuries. The marine habitat around Cuba is thought to be the healthiest in the world. This could be why every species the scientists encountered was larger than average. Both teams succeeded in finding their targeted species. This is the Shark Week that keeps me coming back every year. There are still celebrity endorsements but these ones interact with the scientists and the sharks, they aren't the stars of the show anymore. This is what Shark Week is all about Charlie Brown. Actual scientists studying sharks with reasons why they are there and real information about sharks. Day two is done and it kinda makes up for day one for me.